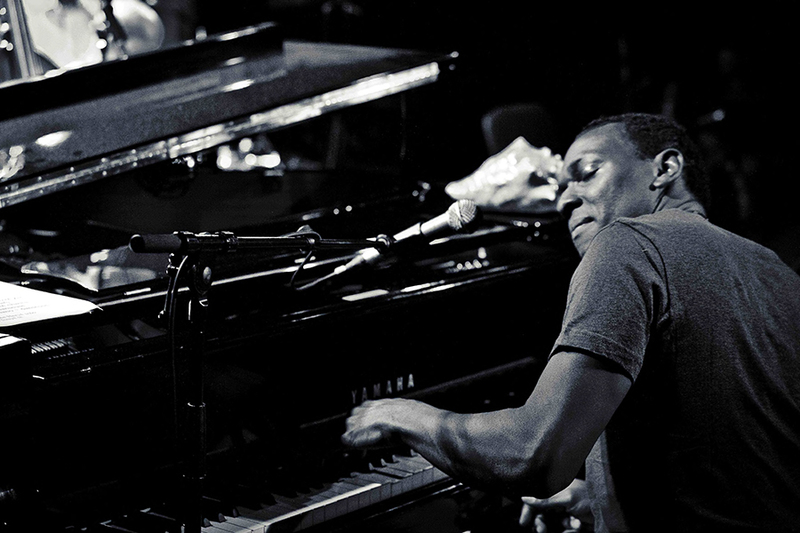 Hervé Celcal was born in 1975, on the island of Martinique (France, West Indies), where he started learning classic piano at the age of 7. He continued his lessons at L’École Normale Alfred Cortot in Paris (France). He then met the french jazz pianist Bernard Maury, who was impressed by the musical maturity of this 20 year old man. In parallel with a studio career and on an international stage with many different artists (world music, jazz, hip hop, dancehall reggae, zouk), as a producer and sideman, Hervé has developed a very personal project related to the tradition of his native island. In the meanwhile, Hervé Celcal always wanted to initiate a pedagogic project. He regularly conducts lessons and master classes (bèlè, influence of african music…) and, since 2013, has been leading a choir mostly composed of people that are blind or affected by Parkinson’s desease. In 2014, with the songbook “Bel air for piano, Le livre” (Delatour France), Hervé thus carries on with his musical path. Between 2014 and 2018, Hervé composed and produced the Congolese Ballou Cantas last Cd : Boboto (L’Autre Distribution 2015) and arranged the first album of Thierry Fred François, the french member of famous Golden Gate Quartet : « Spiritual Swings » (2018). After « Bel Air for Piano », dedicated to the Martinique’s Bèlè, Hervé Celcal is carrying on telling the tale of his island with a new album « Colombo » (L’Autre Distribution nov 2018). Colombo, like the spice mix from Asia ; like the ultimate West Indian dish that symbolises the Creole culture ; Colombo like the man who thought he had reached India but discovered America ? With Bèlè as a backdrop, the album is at the same time an invocation to the Caribbean indigenous people, a tribute to the « Coolies », sparkled with New Orleans groove, and flights of classical music and jazz… in short, a Creole music.